For those clients who own an investment property, you may be aware there have been a few changes in legislation during the year. This may limit the amount of tax deductions and therefore how negatively geared your current property is. Where a second-hand investment property is purchased after May 9, 2017, you will no longer be able to claim depreciation on the fixtures and fittings of the property. This includes items such as appliances, floor coverings, air con, hot water etc. However not all is lost. The depreciation you could have claimed on the fixtures and fittings under the old rules can be tallied up and deducted from the profit when you sell the property. 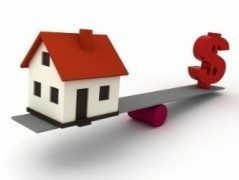 This reduces your Capital Gains Tax should you sell the property in the future. Any fixtures and fittings that you actually buy for the property after purchase will of course be able to be claimed. What hasn’t changed in regards to depreciation? The changes do NOT affect commercial property. The changes do NOT affect brand new residential property. The changes do NOT affect property purchased before May 9, 2017. The changes do NOT affect deductions claimed on the building itself. Another change is the ability to claim travel costs to and from your investment property. You will no longer be able to claim any travel costs associated with an investment property, regardless of the reason for travel. You can see from the above, the tax implications on an investment property can be quite complex, especially with the ever changing rules. Should you need assistance with the above, please contact our office.